In order to increase the response capacity of the EU , B-FAST decided to develop an Emergency Temporary Shelter module. 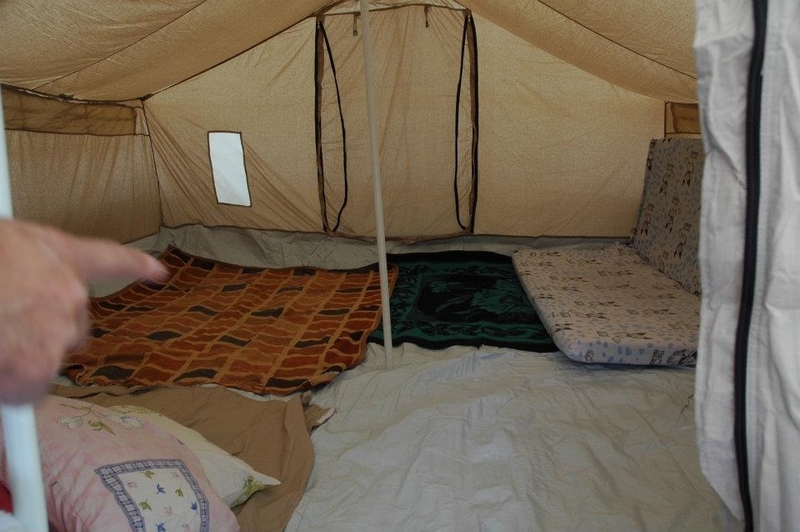 • A 27.5m² tent can house a family of six people. 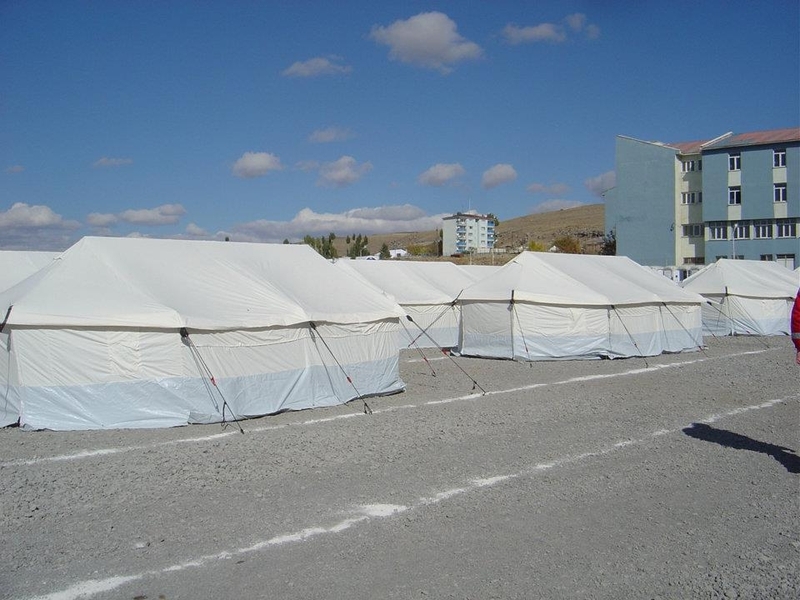 • The 45m² tent is used for common goals: an administrative area, a school, a nursery, a first-aid room…. When B-FAST decides to use an ETS module for emergency relief purposes, it puts together a B-FAST team made up of approximately 15 men and/or women who are to carry out a number of generic tasks as well as logistic tasks. The ETS module is set up on the spot by local workforce under the supervision of the team members in charge of logistic tasks. Each ETS tent is equipped with an extra kit containing groundsheets, blankets, heating, cooking and kitchen set, lanterns and jerry cans. 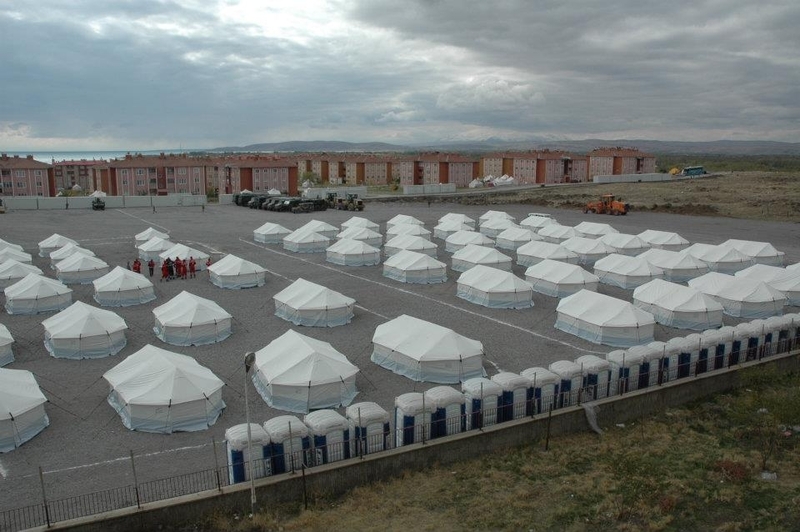 B-FAST already built Emergency Temporary Shelter camps during previous operations following the earthquake in China (2008) and in Turkey (2011).